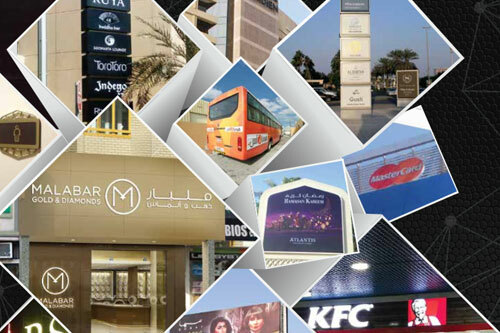 Established in 2013, Telcon Signs has made tremendous progress to be one of the leading signage manufacturers across the UAE and is widely recognized for its great workmanship and after sales service. Telcon Signs offers a comprehensive range of products to make its customer business shine. We offer versatile and diversified programs in the design, production installation and maintenance of high-impact sales support systems including point of purchase displays, in-store visual signs and Merchandising and environmental signs and digital printed graphics. We have always been ahead in providing innovative solutions for the particular signage needs, and we are well equipped with latest machinery and skillful team to meet the challenges. Telcon Signs offers total solution for signage which includes Design, Manufacturing, Installation, maintenance, which is achieved by using latest technology. At Telcon Signs, we believe that a well built signage can effectively generate great amount of impression for proposed business you are looking for. There is a lot more that makes Telcon Signs the market leader. Kindly check our website to discover more about our strengths. Telcon Signs vision is simple; we aim to be the best at what we do. To achieve market leadership with innovative products and services that set new trends across our industries. Telcon Signs is determined to provide effective solutions to specialized industries, offering customers a consistently timely, reliable and affordable service. Telcon Signs mission is ultimately to build a name for ourselves that is recognized regionally and internationally and is associated with nothing but the highest standards of quality and professionalism. PO Box: 96945, Dubai, United Arab Emirates.